Botany and entrepreneurship have a lot in common. From seed stage to full bloom, lives of startups and plants share development paths that go beyond a mere word cloud – but we’ll resist the temptation to fill this introduction with eco-puns. Here’s a scenario: you came up with a revolutionary idea that will change for good (i.e.) the way we make popcorn at home. You look at your closest friends and you have developers, marketing experts, and someone very good at calculating how to split the bills. You’re all set but for one not-so-small detail – money talks. Great ideas need fertile soils to grow, and funding plays a key role in giving potentiality the strength to become actuality. It is crucial to start your activity in a place where investments are available, and enlightened venture capitalists can easily spot forward-thinking businesses from a distance already. So why, and to what extent, is Estonia one of the places of reference in Europe for those seeking to talk to interested investors and aiming to exploit the advantages of our startup community? 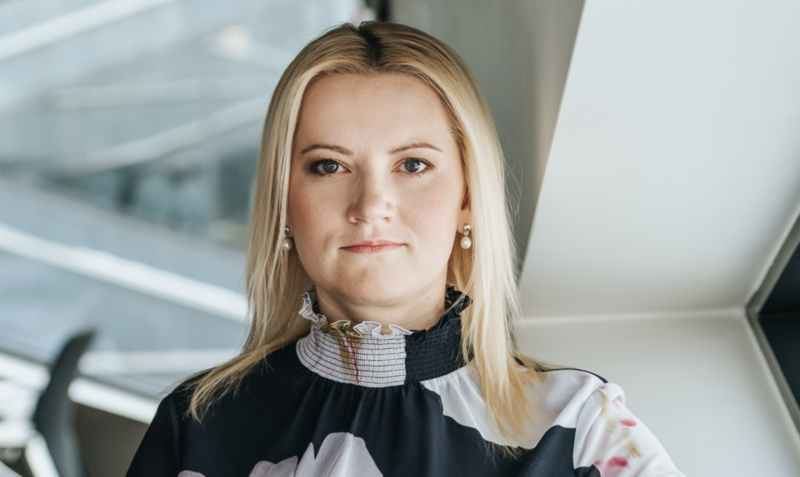 We spoke to Sille Pettai, Fund Manager and Member of the Board at SmartCap, the State-owned investment company supporting the development of the Estonian economy. SmartCap and KredEx have the lion’s share in supporting private funds and venture capitalists, so who better than Sille could give us a portrait of the investment landscape in Estonia? Here’s a short guide on how Estonia has become the place where capital and ideas – yes, your ideas – meet. As the startup ecosystem in Estonia started to grow and flourish, investment strategies changed with it as well. Parallel lines meeting in the construction of this rich reality: how did the investment strategy of the government develop throughout the years and up to this day? The Parliament of Estonia initiated the Estonian Development Fund, that started investing directly in startups together with private investors back in 2008, with the aim to develop the Estonian venture capital market, and to influence the whole startup ecosystem. Inevitably, our venture capital and start-up scene reached a state where private investors were able to carry it forward without an active participation by the state. As a result, in 2017, the State made a strategic change and continued to provide capital through SmartCap, the Baltic Innovation Fund, and EstFund – but only to private VC funds, and not directly to startups. This shows how mature private investors as venture capital market participants have become in Estonia, and ensures that the State can provide capital in a more passive role by being a strong cornerstone investor in VC funds. Furthermore, in 2017, the new Investment Funds Act entered into force to enable launching venture capital funds in Estonia, which are also recognized by reputable international investors. Young enterprises need capital, and in some cases the government plays a major role in kickstarting companies. How does the investment and capitals landscape look like in Estonia, today? Traditionally, early stage companies are funded close to home – this also means that local capital from local venture capital investors is involved. The State has been determined and systematic in building a sustainable and diverse venture capital ecosystem for more than 10 years by now. We can say that Estonian venture capital funds have more than 150 million euros worth assets managed by at least 7 experienced fund managers, and most of these funds have a participation by the State. Which companies can figure among the best examples of a governmental commitment turned into the basis for a successful entrepreneurial story? Venture capital funds with State participation like Tera Ventures, Karma Ventures, Superangel and United Angels VC. They all have invested in well-known startups. SmartCap and Kredex are administrating different funds handling millions of euros. What’s the entity of these funds, and where does this money come from? KredEx, either through its subsidiary agency SmartCap or in cooperation with the European Investment Fund, is redirecting funds coming from two main sources - EU programmes and Estonian state assets. Even more important is the fact that venture capital funds with State participation raise also money from private investors, like pension funds or family offices, which more than double the investment capital available to startups. What are the main steps to gain access to SmartCap and KredEx funds, and how does the company-investor relationship work? Venture capital funds with SmartCap or KredEx participation are listed on their webpages, and they’re definitely creating some buzz in the local start-up scene. Startups should follow Startup Estonia's channels, and be present at related major events in Estonia, so they won’t miss any opportunity to approach these venture capital funds directly. Also, the most recent investment by SmartCap was made in the early stage fund Superangel, that in addition to the fund is running a unique high altitude accelerator for startups called Alpine House, which is taking in applications from startups. In your opinion, why an investment in tech and startups represents a major asset for Estonia? Investing in tech is more than just creating highly skilled and qualified jobs and increasing tax incomes - it also enables the State to project itself in the future and define our global competitive positioning. Looking beyond the startup ecosystem, we see that VC-backed startups generate positive spillovers on traditional industries too: they fuel innovation, because tech people with unique knowledge, an entrepreneurial mindset and tech skills, bring causal and consequential benefits to the Estonian economy as a whole. Ideas and people follow capital, so the prerequisite to make something happen is to create a strong local venture capital market, where the State should act as a cornerstone investor for funds. The degree of public-private involvement in partnerships is certainly something we’re proud of, as much as we are of our unicorns and other digital success stories, like the e-Residency programme.